Make the Marinara Sauce by heating the oil in a large saucepan, then finely dice the white onion and add it to the pan, allowing it to soften for 5 minutes. Mince the garlic, add it to the pan and fry it off for a few minutes before then adding in the tomato paste and dried herbs. Mix it well and fry that off for a further few minutes, then add in the chopped tomatoes, hot water and season it well with salt and pepper. Leave it to simmer for 15-20 minutes. In the mean time cook the pasta in boiling, salted water for 5-7 minutes and then pre-heat the oven to 180 degrees celsius. Whilst the pasta is cooking, make the pesto by adding all of the ingredients to a blender, starting with the lemon juice and olive oil to ensure it blends smoothly. Blend for 3 minutes until a pesto cashew cheese forms. 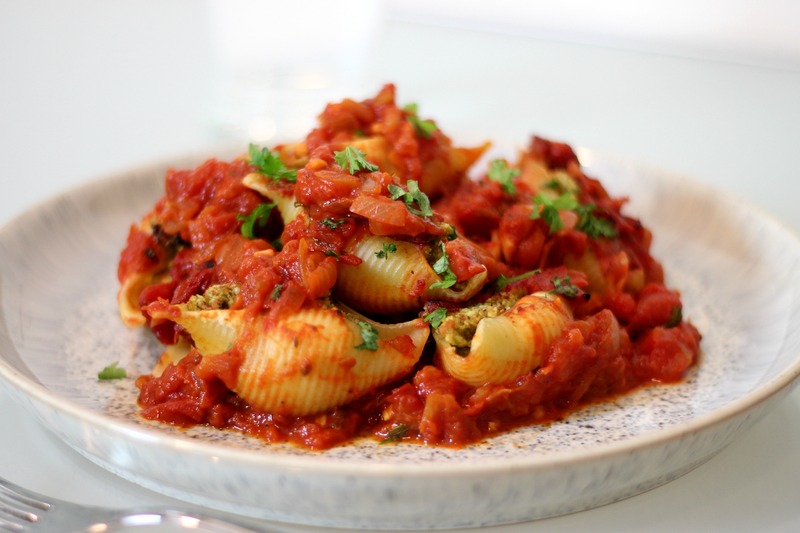 In a large baking dish, spread out 2/3's of the sauce in the base, drain off the pasta then layer the shells on top of the sauce. 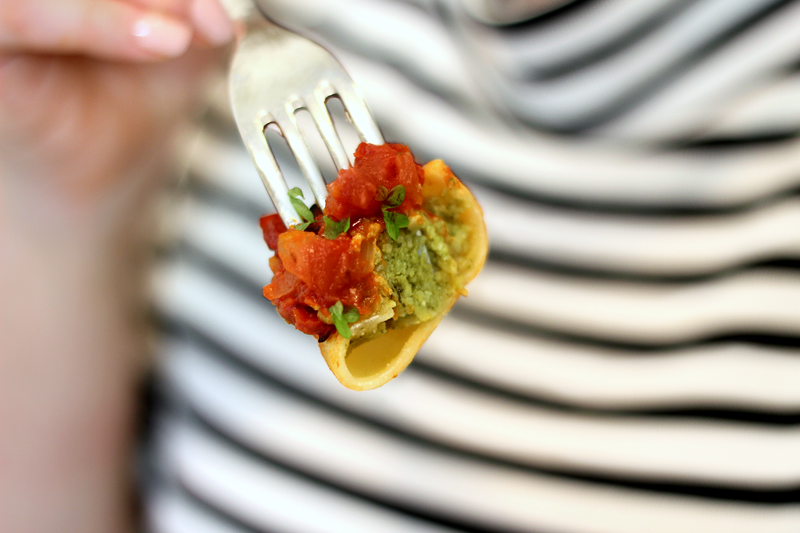 Fill each shell with around 1 1/2 tbsp of the Pesto Cashew Cheese, add the remaining Marinara Sauce on top and sprinkle with the fresh chopped parsley. Place it in the oven to bake for 20 minutes, then serve hot.